Poetry is the voice of the soul. Through poetry teenagers and older adults can exchange information about the life span in relation to aging, examine their beliefs about aging and their role in their own aging. Poetry can connect generations and for both teenagers and elders, sharing poetry can expand their known worlds. Each year the Intergenerational Poetry Contest awards prizes to local youth and adults over 50 to help bridge the gap between the generations. The event features a Winners Celebration and Poetry Slam to hear readings of the winning poems and provides an opportunity for face-to-face dialogue about poetry and poems. 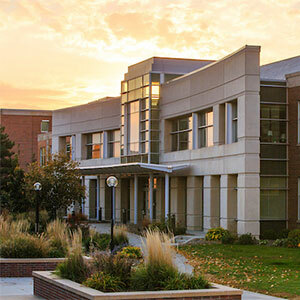 This program was created in 2009 and is maintained by a partnership of the University of Nebraska at Omaha Department of Gerontology with public and private schools connected by the UNO Dual Enrollment Program and Service Learning Academy. The Omaha Public Libraries and the Nebraska Writers Collective are UNO's founding and continuing community partners. The program is managed by student members of the university chapter of Sigma Phi Omega (SPO), which is the national gerontology academic honor society, and the SPO faculty advisors. The 2018 contest concluded with the Winners Celebration and Poetry Slam on Sunday, October 14, 2018. 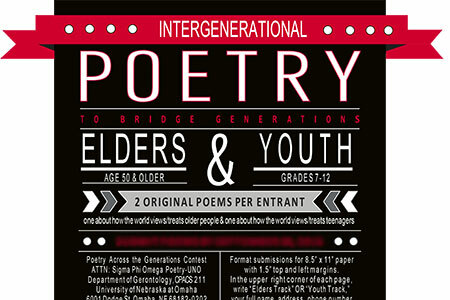 Read a selection of winning poems from elders and winning poems from youth. Coming Fall 2019 - Online Bachelor of Science in Gerontology! View UNO and UNL Summer and Fall 2019 course offerings. Looking for Healthy Adults and Caregivers to Participate in Research Study.